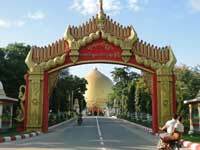 It is located at the top of Sagaing's thirty or so hills at an elevation of 684 feet. 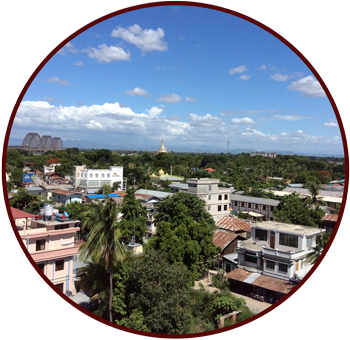 In ancient times it was known as Nga–Pha Taung, meaning, "Five Frog Hill" because its shape resembless a frog. 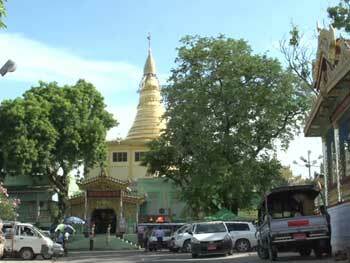 Construction of the Kaung – Hmu – Daw Pagoda was begun in 2180 B.E (C.E.1636) by Thalon Min (Adhika-Raja), the King of Ava. 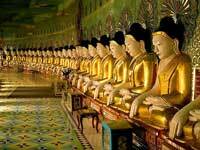 It took twelve years to complete and was consecrated in 2192 B.E. It is located on the top of Samari Hill, 3500 feet north of Swam- Oo-Ponnya-Shin. It lies just at the end of the paved road going in that direction.